Martin Patrick 3 is a clothing store in Minnesota that specializes in men’s clothing, apparel, and other design elements. Their selection aims to make men look and feel their best, whether they’re lounging at home or hitting the town. With Big Apple Buddy’s personal shopping service, you can now buy direct from the Martin Patrick 3 online store anytime, anywhere. The store offers a variety of high-end brands to shop from, including J.Brand, Rag & Bone, and Jack Spade. With everything from apparel like denim and outerwear to accessories, shaving kits, and decorations for the home, there is something for every man here. 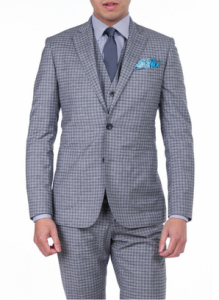 The Hardy Amies Distorted Check Blazer is perfect for those formal occasions and will stick out from the rest of the blazers in your closet. This slim fit, single breasted jacket comes in a dark grey color and looks both stylish and refined. It comes in two different length options (regular and long) to help ensure you get the perfect fit. 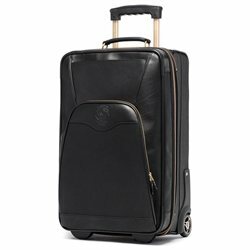 If you travel often, consider the Ghurka Pontoon II suitcase, which will help you look stylish while traveling and still conveniently fit all of your belongings. Lined in Ghurka’s signature check fabric, this suitcase comes in vintage black calfskin and has a retractable handle and multi-functional zip pockets to ensure you have enough room for all those items you just can’t leave home without. Don’t forget about your most necessary accessory during the summertime: a swimsuit. Orlebar Brown’s Bulldog Hulton Getty swimsuit will help you stay cool and look stylish this summer. 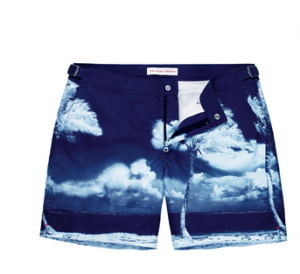 Made from quick-drying, polyamide fabric, these shorts are perfect for a day at the beach or by the pool. Unfortunately, the USA Martin Patrick 3 online store does not currently ship internationally. However, Big Apple Buddy, your personal shopper, can help you buy products direct from the official USA Martin Patrick 3 online store and ship them to your doorstep, no matter where you are in the world. If you would like to buy from the USA Martin Patrick 3 online store, simply let us know which items you would like to order (by filling out the form below) and we’ll get back to you with a free international shipping quote within 24 hours!